Welcome to this month’s Blogorail Yellow Loop. 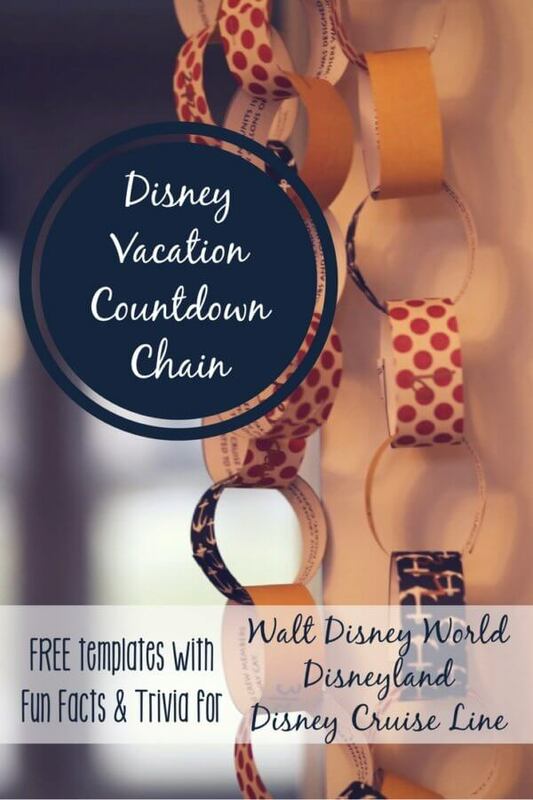 Today we are sharing ways to countdown to your Disney vacation, including this free printable Disney countdown chain! When my daughters were about 2, we discovered the difficulty that comes from expecting a toddler (or even an impatient adult) to understand the concept of exactly how much time is left before a vacation or exciting event. On a whim one afternoon, I made a countdown chain. You know the type – I’m pretty sure we all made them at least once in elementary school to count down to Christmas. 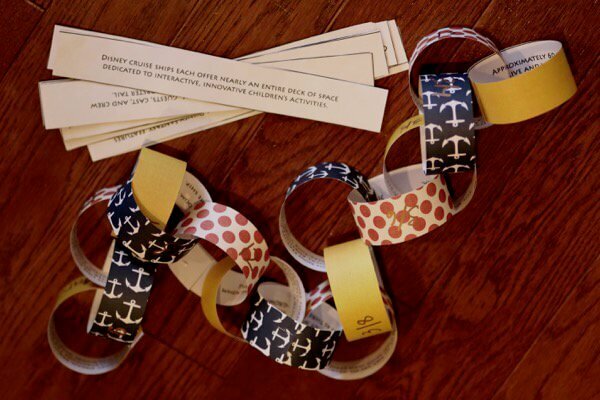 We travel more frequently these days, but whenever we have a big trip coming up – like our cruise over Spring Break – we still enjoy making countdown chains. Sometimes they’re quick, like strips of construction paper on which we write the date. Other times they’re thoughtfully designed on Photoshop with pictures and are truly lovely as they adorn our wall. 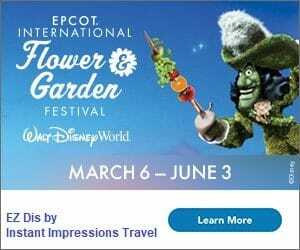 If you’re counting down to a Walt Disney World, Disneyland, or Disney Cruise line vacation soon, we’re sharing this quick and easy way to make your own countdown chain – complete with fun facts and trivia specific to your destination. Download the files here, or read more below! First, you’ll need to grab your supplies. For our current chain, we decided to use nautical-themed (and Mickey-inspired!) paper from our local craft store. 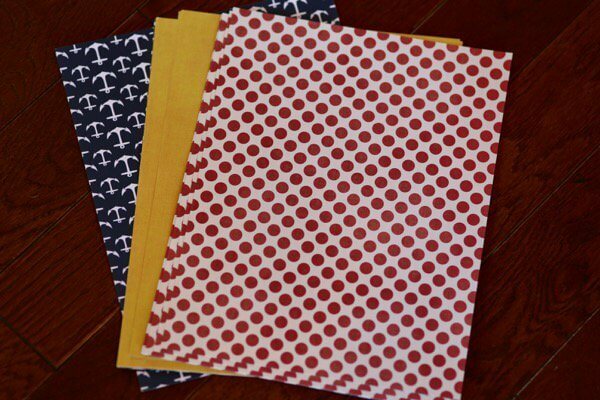 You can use colored paper, white paper, cardstock… whatever suits your fancy. Just keep in mind that if you’re using dark printed paper like we did this time, you’ll want to print the facts and trivia on the back (white) side. This may also mean you need an additional method to write the date or number of days on the printed side. We’ve used metallic marker and stencils this time, but stickers or printed labels would also work. Side note: I have seen many chains with the wording “___ days until ____”. This is a fine option, but for our family it’s unrealistic to think that we’ll get the proper link down every morning without fail – especially the farther from our departure we begin counting down. 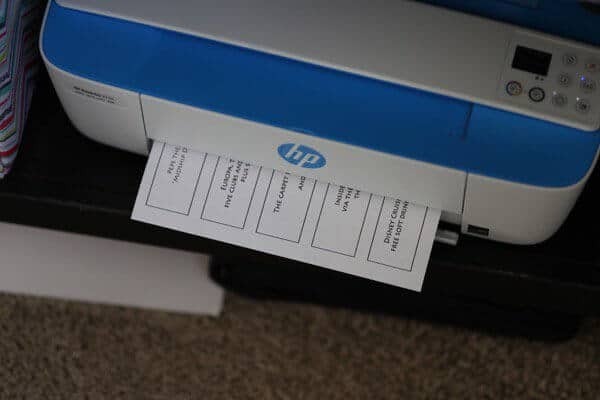 If we used such a method I am positive that more than a handful of times I would have to calculate how many days remain, count that number of links, and tear off any we had missed. It’s much easier, in my opinion, to label each link with a date, beginning with your first counting day and ending with your departure date. We choose to pull ours off the morning of (i.e. the morning February 1st we will tear off the February 1st link). This allows us to count down how many days remain in a traditional format (not including “today”) – and has the added bonus of letting us know the current date. Goodness knows I almost never remember what day it is without consulting a calendar, except when we’re in countdown mode. Two birds, one stone, my friends. And of course, don’t forget a stapler or tape! We always opt for a stapler, because it’s faster and more fun for the kids. And if you’re in need of a little stress relief from vacation planning, you can pound a little harder on said stapler instead of having to untangle your kids from the tape. Next, print out the templates on 8.5″ x 11″ paper (US Letter size). I’ve set them up for a thirty-day countdown, but have also included blank forms. You can create your own links with these, or add blank ones to increase the number of days. Do your kids have a fun birthday party or other event coming up between now and your trip? Make it an intermediate “goal” for your countdown, and the trip won’t seem so far away! Any chores or projects you want them to help with before the trip? Planning to pack on a certain day prior? Add those things. Maybe they won’t feel as much like work? Nah, they probably still will. But you’ll have a built-in reminder! Initiate fun family discussion by asking questions: “What are you most looking forward to?” “What ride do you want to try and ride first?” “What is your favorite memory from our last trip?” and so on. Once your links are printed, it’s time to put the chain together! Kids can definitely help with these steps if you aren’t surprising them with the countdown chain. Cut out each strip and (if necessary) label the dates or days remaining on the outside. With the dates in order, staple the first link (either “today” or your trip date) into a circle. 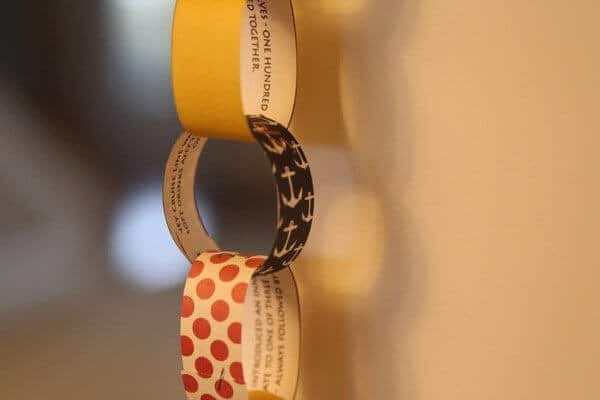 Link the remaining days onto your chain one at a time, then hang it prominently for all to see as you build anticipation for your trip! The possibilities are almost endless for how you customize your countdown chain. I’d love to see yours or hear your ideas in the comments below, or on our Facebook page! 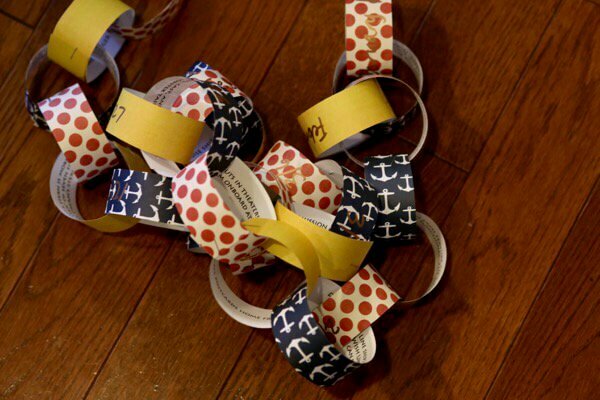 Love doing the paper chains as well! But I love that you take it up a notch by printing fun facts on the back of the papers!